Trish is a member of the firm’s Corporate & Business Law and Tax-Exempt Organizations Practice Groups. 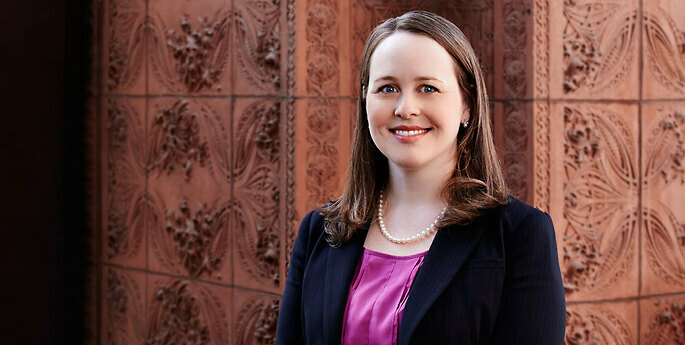 She focuses her practice on nonprofit law, advising nonprofit organizations in matters relating to legal requirements and best practices in connection with governance and operational matters, with particular emphasis on issues involving formation of nonprofit organizations, obtaining and maintaining tax-exempt status, intermediate sanctions, donor-advised funds, board governance, joint ventures, mergers and restructuring. In addition, Trish counsels corporate clients on general corporate issues and general business matters for clients involved in a variety of industries. Prior to joining Hodgson Russ, Trish was an attorney in the corporate/investment management practice group of Ropes & Gray LLP in its Manhattan office, where she advised investment management clients in connection with a diverse range of funds and investment products, including but not limited to mutual funds, private investment funds, venture capital funds, and offshore funds. At University at Buffalo School of Law, Trish was editor-in-chief of the Buffalo Human Rights Law Review. Trish served as a member of the International Institute of Buffalo (IIB) board of directors from March 2011 until February 2016, including service as co-Chair of the IIB board from 2014 – 2015 and Vice Chair of the IIB board from 2013 – 2014. She served as an advisory board member of Buffalo Niagara 360 and a board member of the University at Buffalo School of Law Graduates of the Last Decade (GOLD) Group from 2011 to 2014. Trish served as an alumni mentor for the University at Buffalo New York City Program in Finance and Law (2007-2010) and served as an alumni mentor for the University at Buffalo School of Law annual mentoring program for law students.